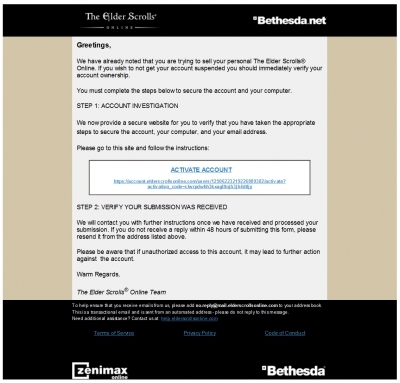 We have already noted that you are trying to sell your personal The Elder Scrolls® Online. 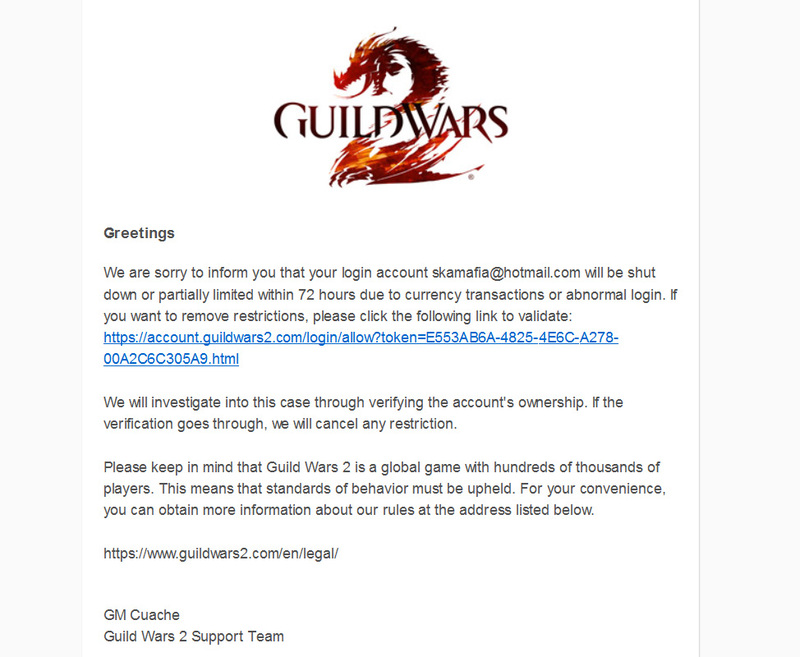 If you wish to not get your account suspended you should immediately verify your account ownership. You must complete the steps below to secure the account and your computer. We now provide a secure website for you to verify that you have taken the appropriate steps to secure the account, your computer, and your email address. 2014 SQUARE ENIX CO., LTD. All Rights Reserved. Copyright (C) NHN Japan Corp. All rights reserved.